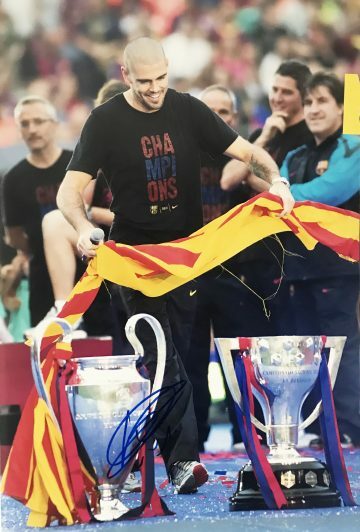 Shop signed Barcelona FC memorabilia. 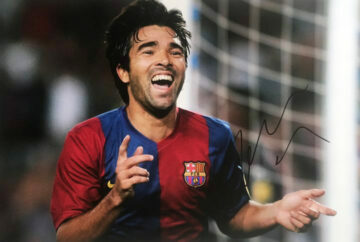 Signed Barca shirts, balls, boots and photo displays signed by the players themselves! Most of these autographs were obtained in person and come with a photo of the signing! All come with a certificate of authenticity, free UK delivery and fast worldwide shipping. Widely recognised as one of the greatest football clubs of all time, FC Barcelona has been wowing crowds and breaking records since its inception in 1899. Throughout history, they’ve frequently been ranked first in the International Federation of Football History and statistics league tables, and regularly feature in the top three UEFA Club Rankings. Success simply flows through Barcelona FC’s blood. On home ground their track record is astonishing – including 25 La Liga, 30 Copa Del Rey and 13 Supercopa De Espana wins. The club’s players have also won a record amount of Ballon d’Or and FIFA Player Of The Year achievements. Internationally they are revered and respected for their dedication and propensity to triumph – having won 5 UEFA Champions League trophies and a record-breaking 4 UEFA Winner’s Cups and 5 UEFA Super Cups. Their long-standing rivalry with Real Madrid also draws crowds from far and wide. It certainly is more than a club for dedicated fans and supporters – who play an active role in its sustained success. Barcelona is one of the only football clubs in the world that is owned and run by its supporters. With an estimated net worth of $4 billion, it is the world’s third richest football club, with an annual turnover of over $600 million. Fans hail from all over the world, collectively forming one of the largest supporter bases in footballing history. Signed Barcelona memorabilia is always hot property – both for fans and investors who place huge value on items for very different reasons. 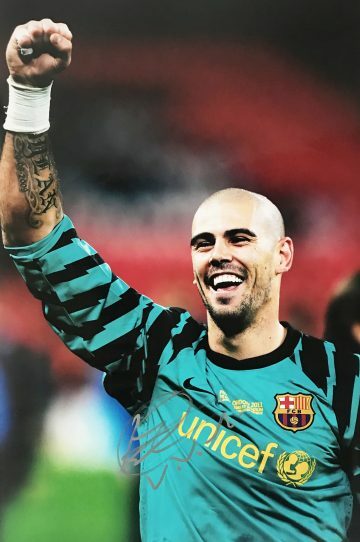 Our stunning collection includes signed FC Barcelona shirts, footballs, gloved, boots & photos – exclusive and unique collector’s items. The selection spans the club’s history, including a range of ephemera from throughout the years.